Forum Q&A | Memorization for Performances: Required or Optional? Last week we discussed how to teach legato pedaling to students, and we got a few great responses – click here to check them out! As always, feel free to add your thoughts to the discussion! 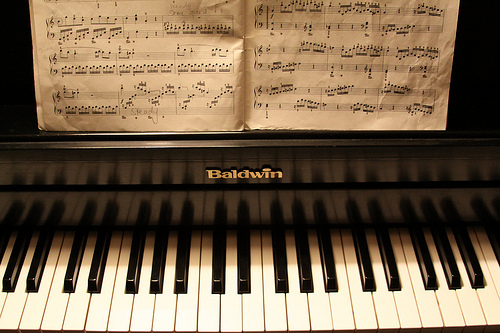 First, do you consider memorization to be an integral part of piano playing? Meaning, would you say that a concert pianist should or must perform by memory? And do you therefore also require your students to perform by memory, or are you more flexible with your students depending on their goals? What kind of memorization policy have you found works best for your studio? 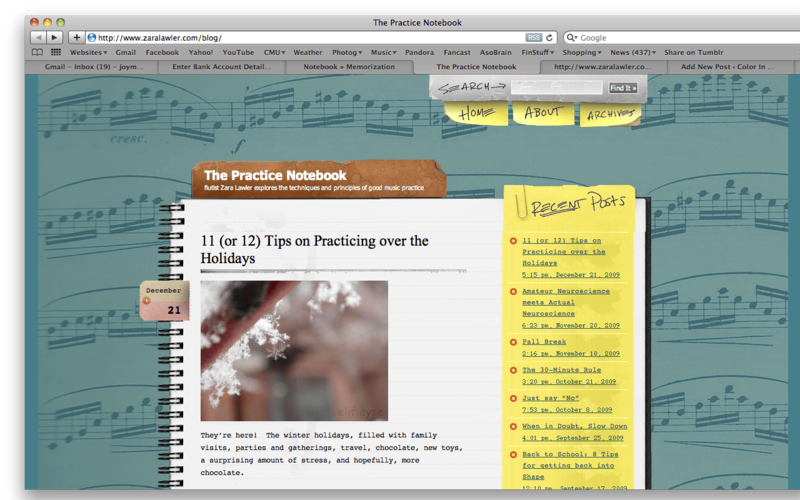 I was recently introduced to “The Practice Notebook” blog, created by flautist Zara Lawler. She has tons of excellent tips for practicing efficiently, no matter what instrument you play. Most notably, I found some excellent blog posts about her method of memorizing music. In my experience, many teachers have their students memorize their pieces, but very few teachers actually teach how to memorize. I am thrilled to find this blog that lays out a specific step-by-step method. I am taking her suggestions to heart as I prepare my piano pieces for my midterm next week! I hope write my own post with my own tips for memorizing music as well, but specific to piano music. Watch for it coming soon! Students are more likely to remember and understand concepts when learned creatively through improvisation. This is largely related to the strengthening of the connections between theory and practice. Students are more likely to be motivated to take lessons when they are doing creative tasks. There is so much more to music than learning to follow directions on the page! Students are more likely to memorize securely, and more likely to easily recover from memory slips. Students who understand what is going on in the music (i.e., can identify the key, the form of the piece, and even some of the harmonic progressions) they are more likely to have their pieces memorized securely. And in the event of a memory slip, students accustomed to improvising can simply improvise until they get back on track! I hope you’ve enjoyed this series on improvisation! What benefits have you found in conducting improvisational activities with your students? 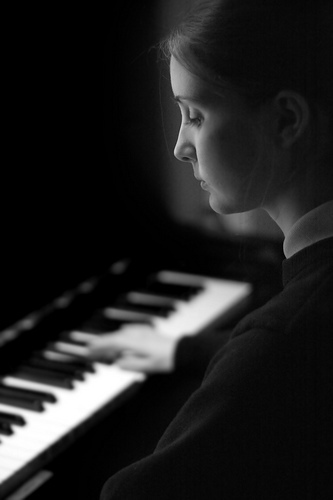 Creativity in the Piano Lesson – Introductory musings.